Hello everyone. I was googling around Google Sites information and stumbled upon the work of Neil Creagh - A New Vision for Google Sites. What ever happened to Google Sites? 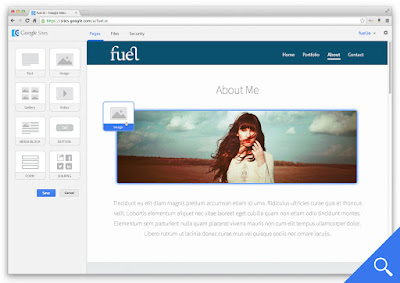 With new template designs and a new CMS interface, the potential reach of Google Sites could be huge. By removing a lot of the hurdles and costs associated with creating a small business or personal website, Google Sites would be in a really strong position to very quickly become the go-to place for SMEs and individuals who require a new website. Rumors come and go about Google Sites. With a huge gap in updates, perhaps the direction has been to completely rebuild the system. After all, since transitioned from JotSpot Web Pages, they have probably been groaning with developing on this out-dated platform. Also, with other platforms, CMS, like Squarespace, Wix, and a large number of no-code easy web builders, the expectations for Google would be much higher. Please keep in mind, Google Inc. themselves and many other big companies use Google Sites every day. So sunsetting, retiring the product would only shoot themselves in the foot. Just in case you need that argument.